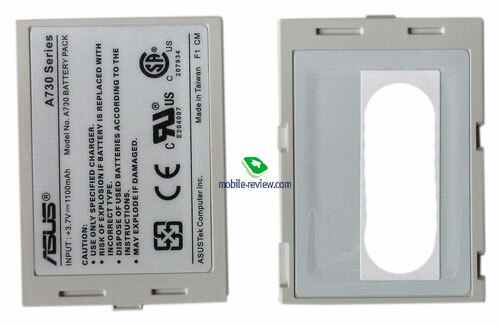 The senior model from the Asus series is called Asus MyPal A730W. It differs from Asus A730 in an integrated Wi-Fi module, larger RAM, extended standard kit and the shell color. If want to get the info on the productivity, battery life, Bluetooth functionality, ergonomics and software, you can read an updated review about Asus A730 published recently on our site, here we just deal with the distinctive features mentioned above. The design of the A730W has almost no distinctions from the junior model. The front panel is colored in Dark Grey now. This is the only design difference in the series. I'll remind you that the A730 is the smallest Pocket PC with VGA-screen today. Besides it features quite winning design - last October Asus A730 was awarded the C-Mark prize for design. Asus realized that the competition on the market for VGA Pocket PC was strong enough and at the latest moment it decided to ship its PDAs with extra batteries of standard capacity. There are two reasons for this step: battery life of Asus A730 is short, and Dell Axim X50v with similar features has a more attractive price, thus the company should create competitive advantages to compensate for the price gap. The fact that it's a last minute decision is supported by the following moment: the cradle lacks the slot for the extra battery, i.e. you could recharge it only in the PDA, you can agree, it's not always comfortable. Well, we make a resume - the extra battery proves to be good, however it doesn't stand for a double capacity battery. In addition to the extra battery the standard kit includes a short USB-lace to plug USB-devices. It's interesting, some drivers has been already pre-installed: HID devices (keyboard, mouse), mass storage devices, printers. I'd note, not all devices will work. My advice here is to check the capacity for work before you buy the device. Asus MyPal A730W has noticeably extended RAM onboard, 107.43 MB. Remember, the A730 always needed much RAM, now the current memory size turns to be quite acceptable. 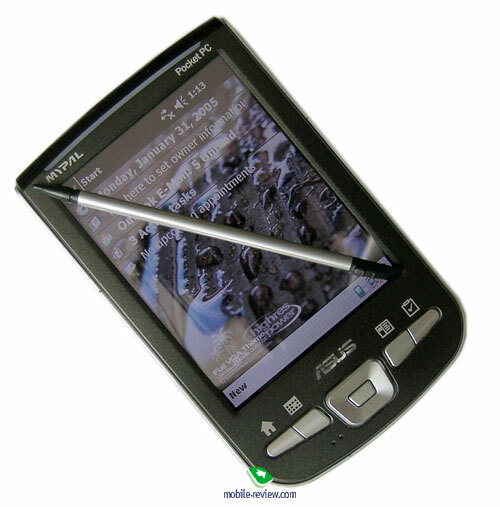 The productivity of the PDA experienced no changes (if we compare with Asus A730 with the ROM update of October, where the productivity and stability figures were higher). The last distinction in the assessment is the integrated Wi-Fi module. 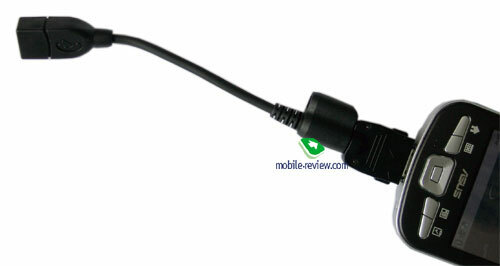 It features a high sensitivity and supports both security protocols WEP and WPA. Both wireless adapters can work simultaneously, the LED indicator glows blue to show that the adapters are active. The Wi-Fi manager has poor settings, you'd better use an exterior manager. In all, these were the main distinctions of the senior modification in the Asus MyPal series. Asus A730W is expected to appear at $570-580. We think, this price is too high, the adequate one won't exceed $510-520. The closest rival is Dell X50v, whose features are very like to the Asus model, however the price is much lower. If you don't care about a camera much and it doesn't matter whether you got an extended battery, the purchase of Dell X50v will be a preferential one in the US. Europeans have to wait for the supplies of Dell X50v, the prices will be higher, but still less compared with Asus A730W.